When it comes to owning some pretty cool items, luxury, expensive and unique items are often some of the best things in life, and whilst maybe not everyone will be able to lay their hands on such products, it is always nice to have a dream, that maybe, one day we can afford to splash the cash a little. 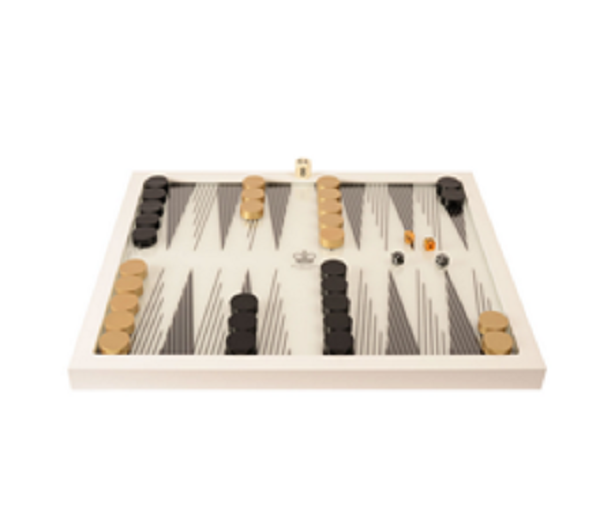 Fancy a game of backgammon? How about a game of backgammon on a Hand-made, illuminated, unique backgammon board that will set you back around $4,500? As luxury items come, imagine playing your most elite friends on this board, with the amount of joy it will bring as you either win or lose, and the envy of every player that you play on the board, as they have to go home to their cheap and cheerful alternative! Enter a room, turn on the light, look up only to find it is a luxury chandelier shining down on you, what an impact that makes. Whilst there are a few specialists when it comes to luxury chandeliers, you can see some pretty smart examples on this website http://roccoborghese.com/, but if you are looking for the ultimate luxury item for the home, you are going to struggle to beat this one! Yes, you read that right. How about this as the ultimate gift for someone in your life? Get into a JCB, race around a track for a bit, enjoy the bumps, thrills and spills, and then park up and thank your loved one for the experience. Whilst a bit different, who hasnt ever fancied getting behind the controls of a JCB, let alone racing one! Whilst we dont know the price yet, we are pretty sure a trip on Richard Bransons Virgin Galactic is probably going to cost more than a return flight to Benidorm, but, as a gift, can it get much better? No waiting list yet, but you can be sure that when this become the norm of travel, making sure you were one of the first ones aboard the journey will cement your place in history and it really does make the ultimate gift or experience. A razor you ask? Luxury you ask? Well yes, as the Zafirro Razor costs around $100,000 and as there are only 99 of them released, if you own one, you will be in a very select group of shavers around the world. Instead of the usual stainless-steel blades found in most male razors, this luxury razor features artificial sapphire, making the shave one of the closest and finest you have ever seen, and for $100K, you would hope so.